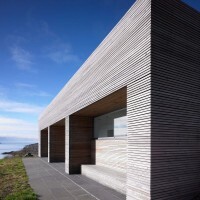 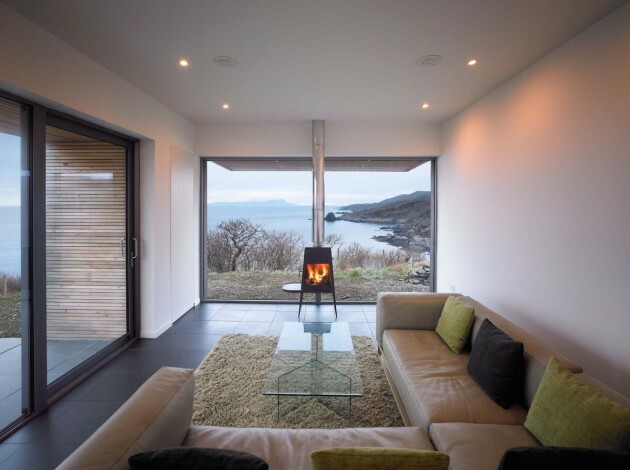 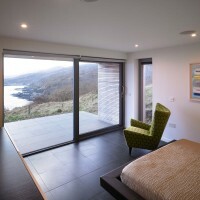 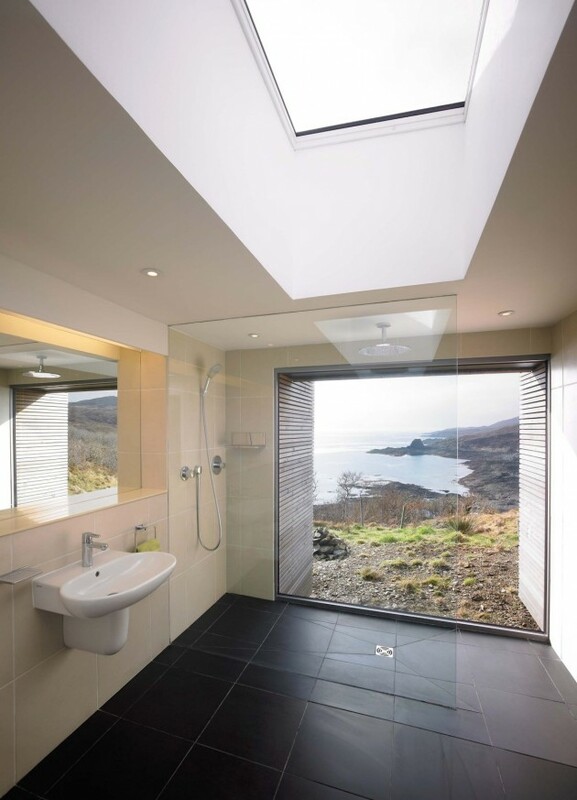 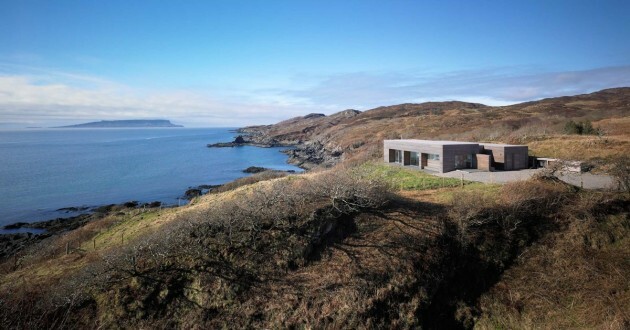 Dualchas Architects designed the Tigh Port na Long house on the Isle of Skye in Scotland. 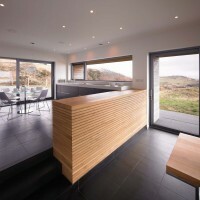 The clients had been visiting Skye with their dogs for many years. 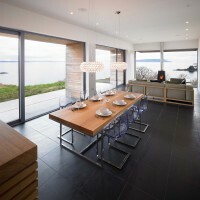 They love the landscape and positively enjoy the unpredictable weather and choose to eat outdoors in all seasons. 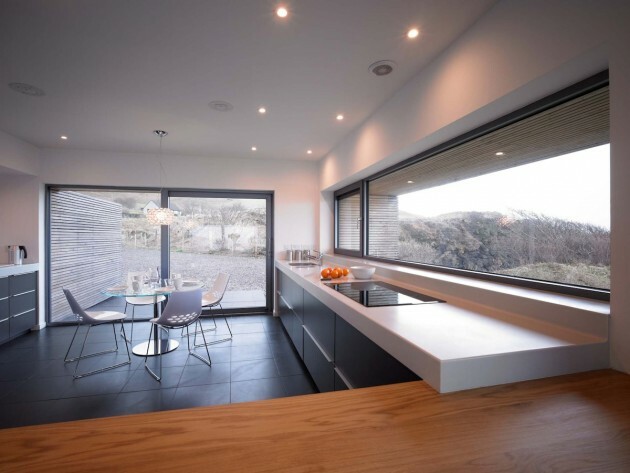 They brought to us photographs of their main home in Lancashire which is simple and minimal, a CD of their favourite music and the encouragement to do something different. 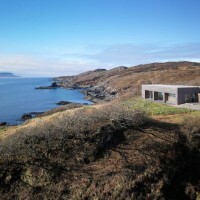 The site is at the end of the road at Aird of Sleat. 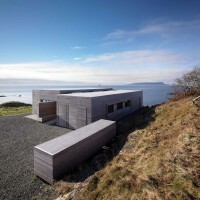 It has a sense of the end of the world, shore access and extraordinary views back to Knoydart, Morar, Ardnamurchan and down the coast to the island of Eigg. 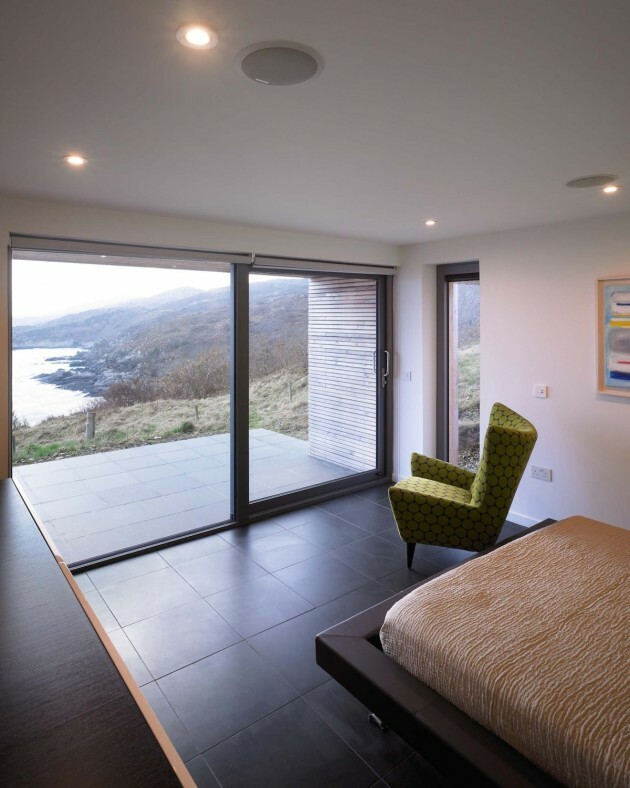 There are views on 3 sides and it was decided to tuck the bedrooms behind the main living spaces to enable us to create a terrace from the kitchen for the morning light, a terrace from the dining space for the afternoon light and a terrace off the main bedroom for the evening light. 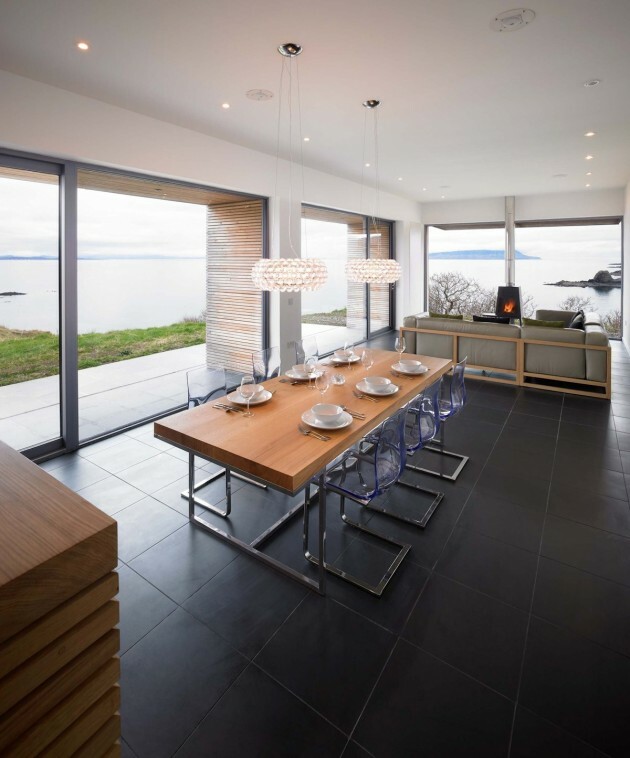 The design developed into 2 distinct forms with a stepped foundation to give additional height to the main living space and to allow views across the dining space from the kitchen to Eigg beyond the fireplace. 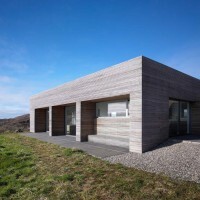 This step in the foundation corresponded precisely to the slope in the landscape. 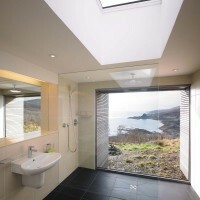 The link between the 2 forms houses a utility room and shower room. 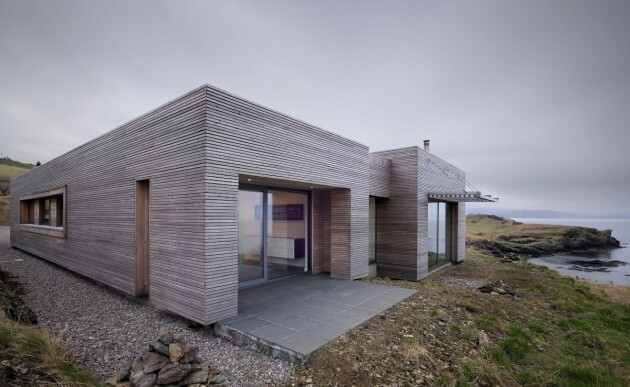 The proportions, massing and siting of this house are derived from traditional forms; narrow in span and tight to the ground. 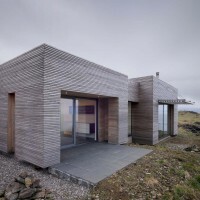 It is clad in a skin of narrow larch cladding walls and roof. 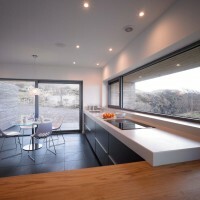 It fits in to the township settlement pattern and sits quietly in its place on the edge of its world. 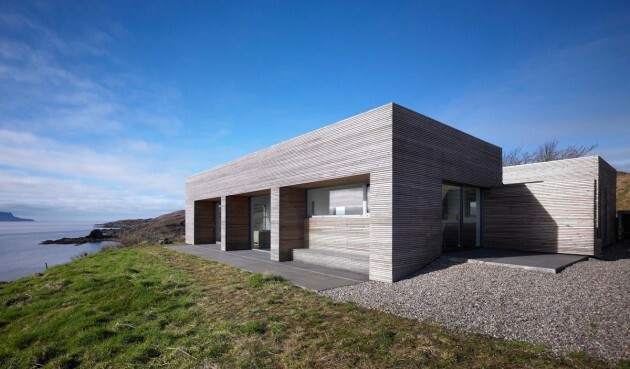 Despite its obvious abstraction from the local vernacular it remains a house rooted in its place and a direct response to both site and brief.